MORNING TRAFFIC COLLISION LEAVES ONE DEAD AND TWO INJURED. 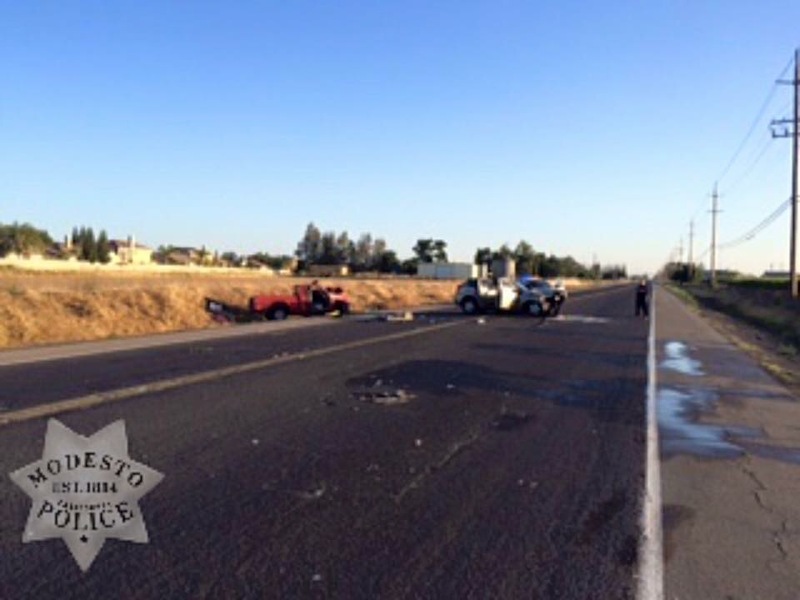 Modesto, CA – At about 5:30 this morning, officers responded to several 9-1-1 calls of a traffic collision involving two vehicles on Claus Road, north of Milnes Road. Upon arrival, they found a female, identified as 40-year-old Rida Franco of Oakdale, unconscious in the driver’s seat of a pick-up. Emergency personnel attempted life saving measures, but Rida succumbed to her injuries at the scene. The early investigation indicates that 18-year-old Christopher Stronick of Oakdale was driving a Dodge Caliber northbound on Claus Road when he drifted into oncoming traffic, colliding with Rida, who was traveling southbound in a Mitsubishi pick-up. Christopher and Rida’s 18-year-old passenger suffered major injuries and were transported to a local hospital for treatment. Neither drugs nor alcohol appear to be a factor in the collision. 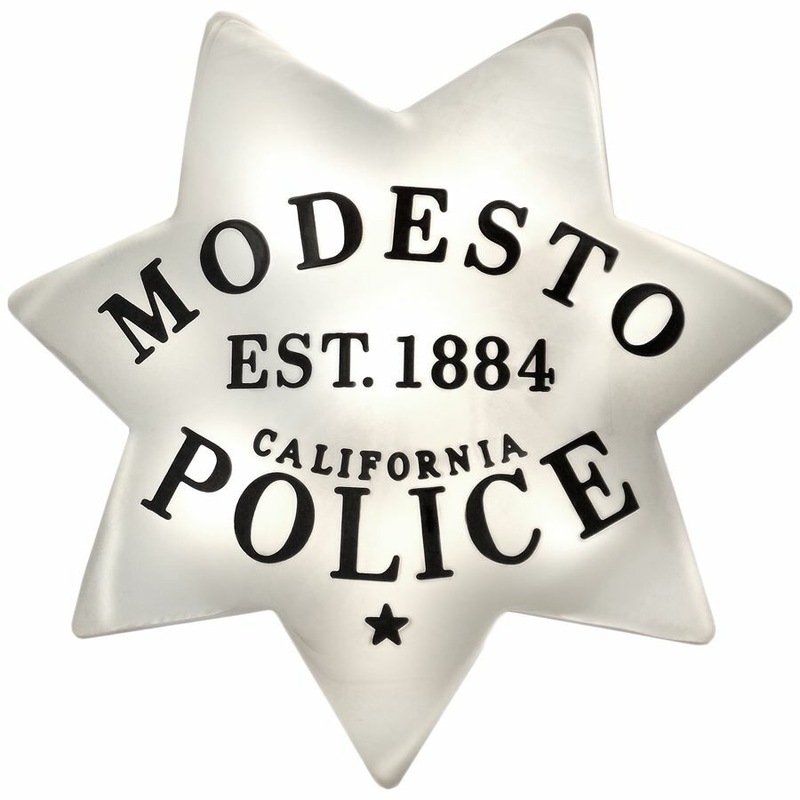 As a standard procedure in a fatal vehicle collision, the Modesto Police Department Traffic Unit has initiated a comprehensive collision investigation and encourages anyone with information to call Officer Reeves at (209) 652-3296. If you have any information regarding criminal activity, please call Crime Stoppers at (209) 521-4636. Callers to Crime Stoppers can remain anonymous and may be eligible for a cash reward. Tipsters may also text information to Crime Stoppers at 274637. Just type “TIP704” along with your message. Previous Previous post: REAR-END TRAFFIC COLLISION ON HIGHWAY 120 AND CARROLTON ROAD. Next Next post: SUSPICIOUS CIRCUMSTANCES IN TONIGHT’S SOLO VEHICLE ACCIDENT. WeEscalon MORNING TRAFFIC COLLISION LEAVES ONE DEAD AND TWO INJURED.